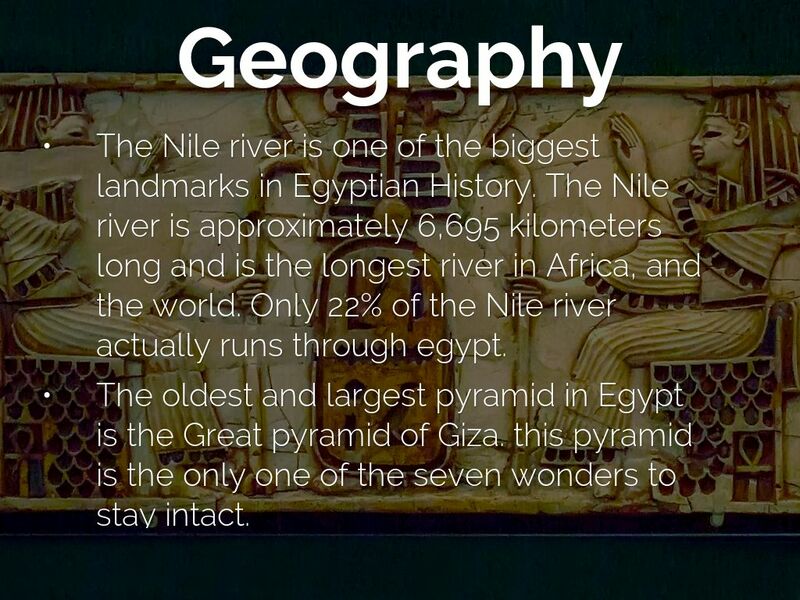 The Nile river is one of the biggest landmarks in Egyptian History. The Nile river is approximately 6,695 kilometers long and is the longest river in Africa, and the world. Only 22% of the Nile river actually runs through egypt. 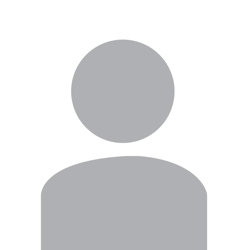 The oldest and largest pyramid in Egypt is the Great pyramid of Giza. 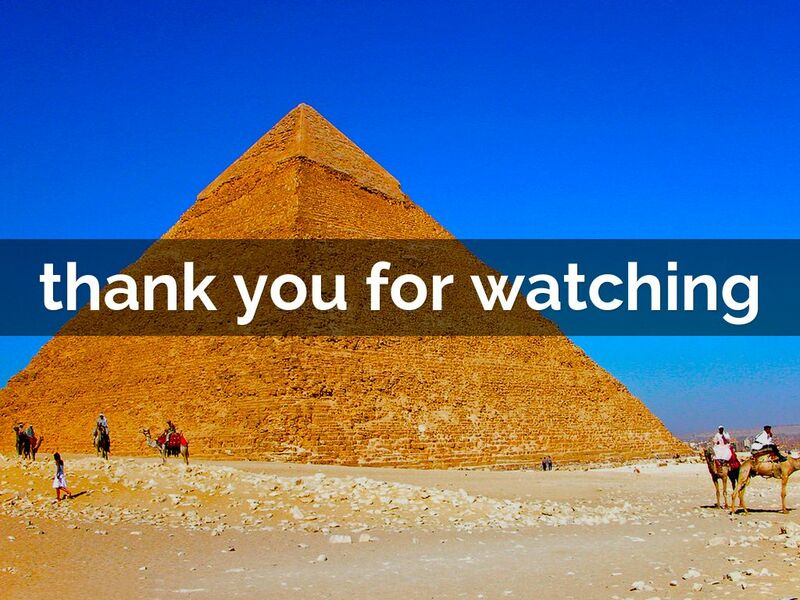 this pyramid is the only one of the seven wonders to stay intact. 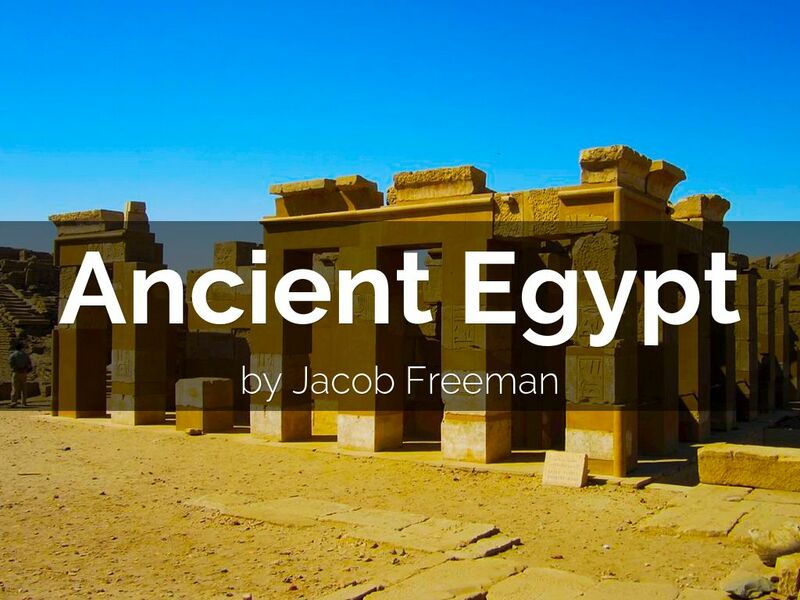 Religion was very important to the ancient Egyptians. they wanted to copy what they thought the world would've been like at the beginning of time. One of the strongest traditions was that of Divine Kingship. 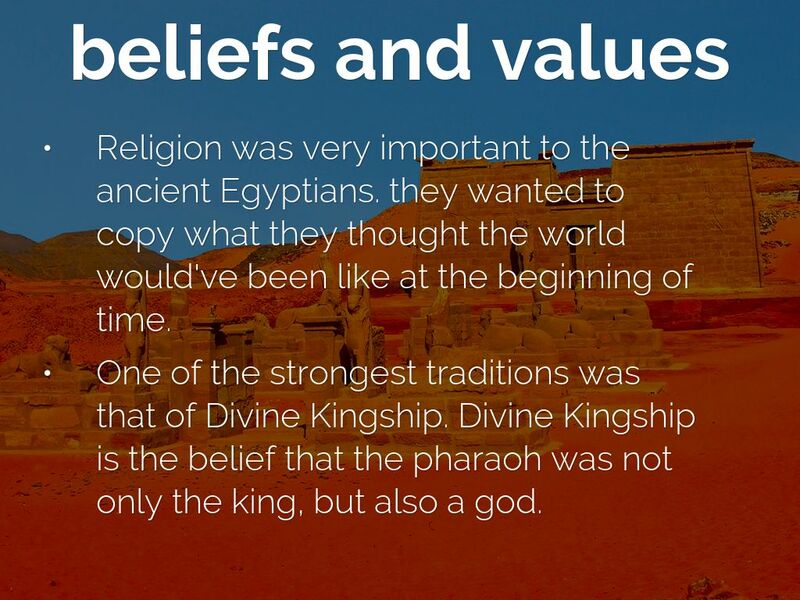 Divine Kingship is the belief that the pharaoh was not only the king, but also a god. 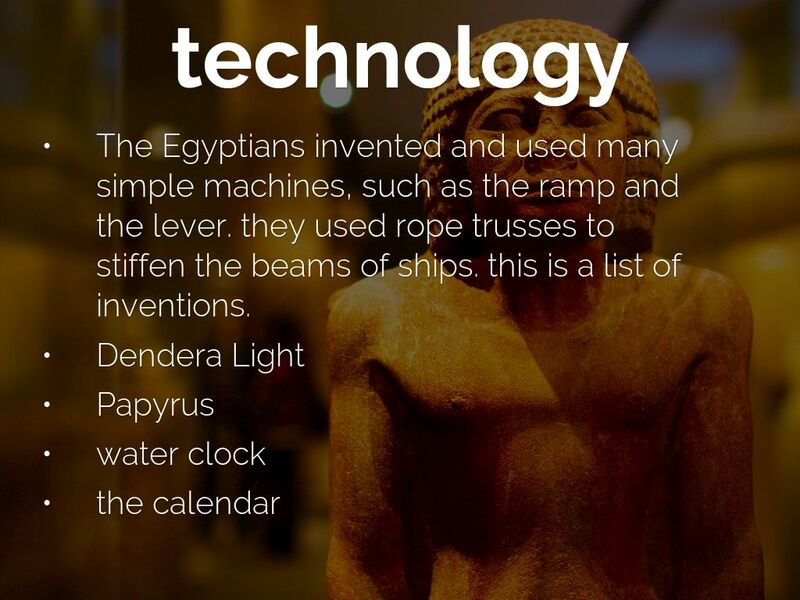 The Egyptians invented and used many simple machines, such as the ramp and the lever. they used rope trusses to stiffen the beams of ships. this is a list of inventions. 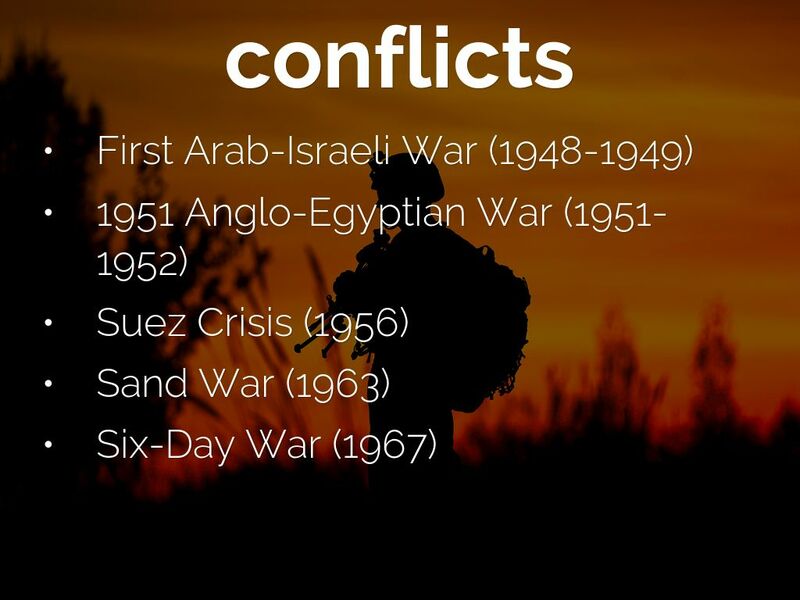 What did the Egyptians trade? 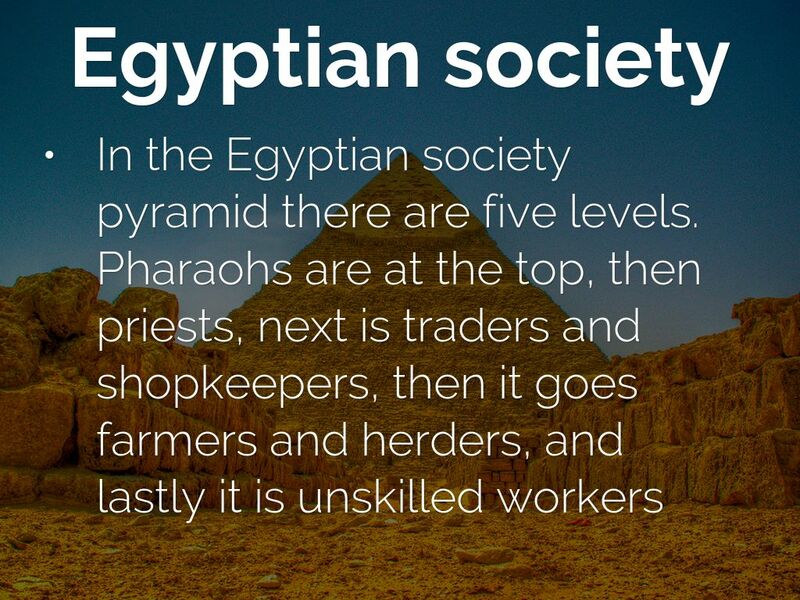 Ancient Egyptians are one of the best traders on earth of their time. 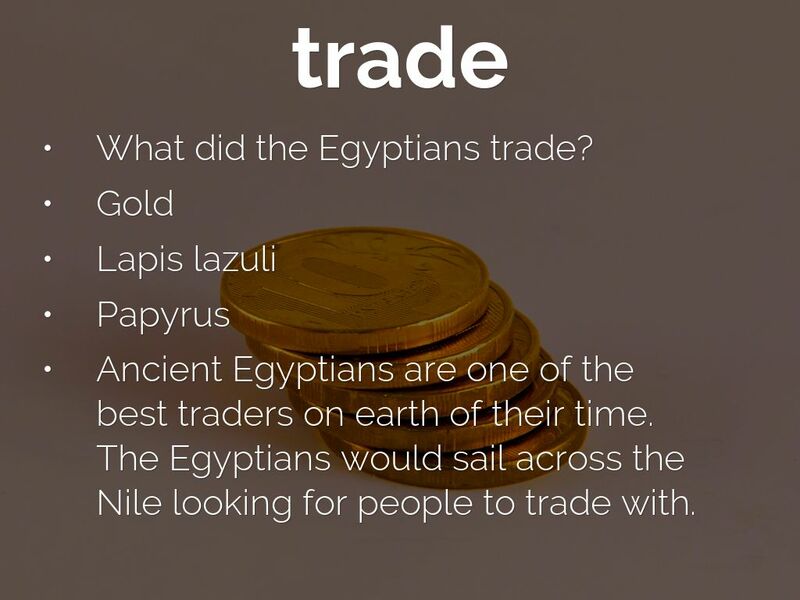 The Egyptians would sail across the Nile looking for people to trade with. 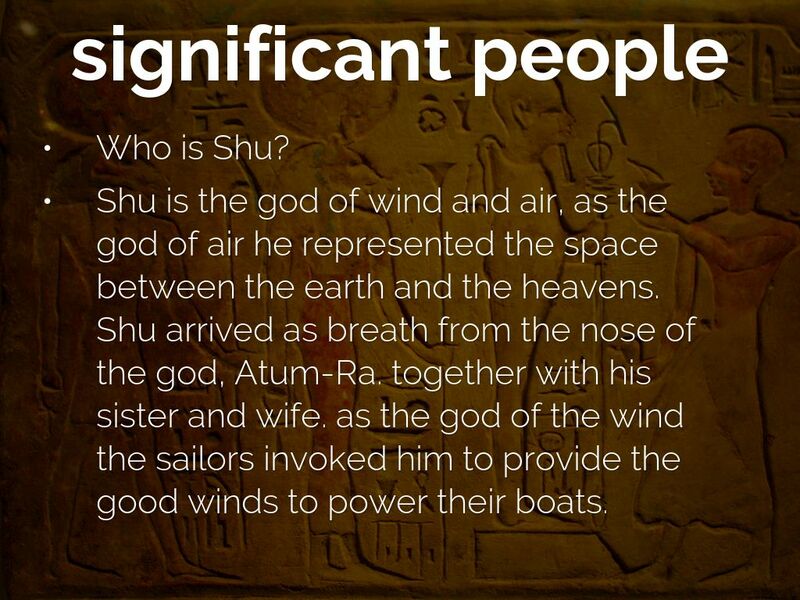 Shu is the god of wind and air, as the god of air he represented the space between the earth and the heavens. Shu arrived as breath from the nose of the god, Atum-Ra. together with his sister and wife. as the god of the wind the sailors invoked him to provide the good winds to power their boats.